I put this little outfit together to go out earlier today. Two mid-terms down only two more to go! It just hit me today that this will be the last time I ever have "a midterm", I'm almost free from school! On top of having midterms this week, Daryl has been really sick and I've been taking care of him. I sure hope he gets feeling better soon. Have any good suggestions on a movie we should rent? introduce daryl to gummo. hahh! v for vendetta is a show sean and i really love. it goes right along with our views on... well, life. um i'm going to steal that scarf. um i neeeed to go take a shower but i keep procrastinating on tumblr. we're going to go see the lorax tonight with syd and garrett (and natalie is sleeping over at my parents for the FIRST time tonight! i miss her already!) miss you too! ps. i don't know if my computer is crapping out or if it's your blog but allllll the photos (including the profile photos on comments) are gooone. wait, they're back. i don't know what that was all about. what is freaking happening here?! that first comment was in reply to me saying that all the photos on your blog were gone. then i published the comment and they were back. now my first comment is gone. i'll have to re-type everything. introduce daryl to gummo! hahhh! v for vendetta is one that sean and i really love... it goes right along with.. well, the way we view life. i am going to steal that scarf. i've always loved it. ps. you're almost done with school! wahooo! i couldn't tell you were wearing jeans until i saw that shoe close-up heh :) they look like black jeggings or something. Your hat is great. It looks amazing on you. I need to get more into hats. Lovin the fedora and boots! And if you're looking for a movie, I recommend Eagle vs. Shark, it's kinda weird humour, but my bf and I love it! Love your boots!! You look great as always! 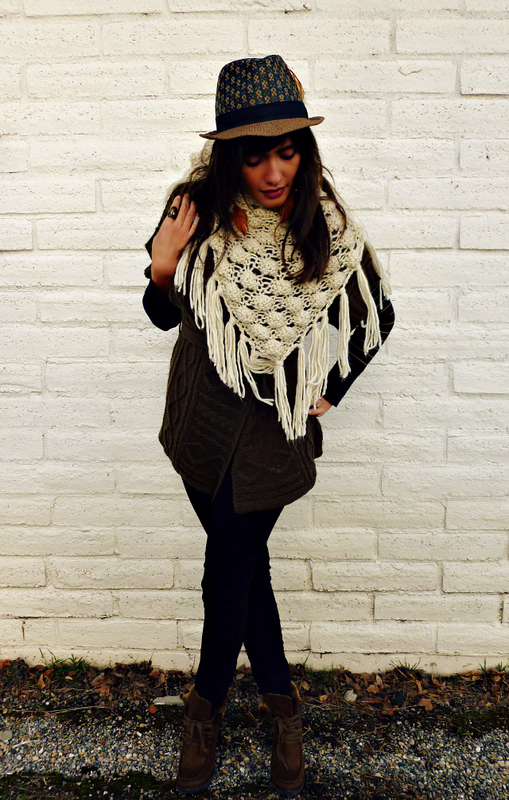 the scarf and the boots - SWOON. love this outfit!!! you are too cute. Mike really liked Captain America! You are so adorable, I almost can't handle it. And... good luck on those midterms! love the scarf and the fedora!! fabulous look and I love your scarf! I'm in love with your scarf. It's amazing. And v for vendetta is by far one of my favorite movies! It's slightly creepy but super good. And as for midterms, good luck! Retail therapy always patches me up well once I've felt that I've been murdered by those tests. You are so classy. I could never pull that off but you did effortlessly. Super cute look! 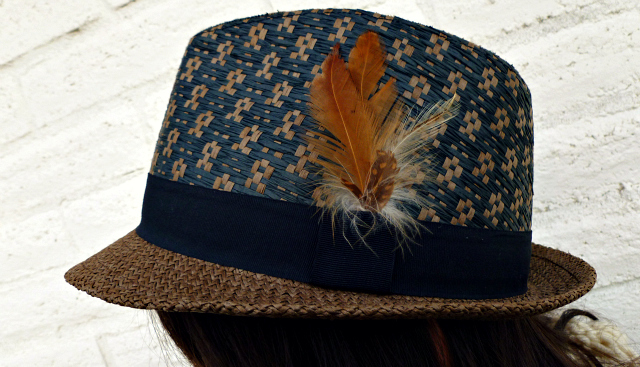 I especially like the fedora (I rarely see one with that type of weaving pattern...I like!) and the shoes. JCP? I gotta get in there!